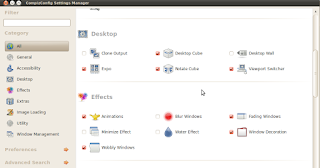 Divineforge.com: Linux: Ubuntu? :D OS can be fun too! "COMPIZ" the interesting effect! 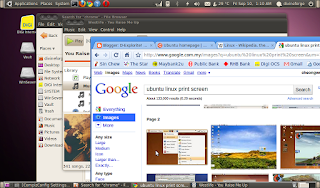 Linux: Ubuntu? :D OS can be fun too! "COMPIZ" the interesting effect! 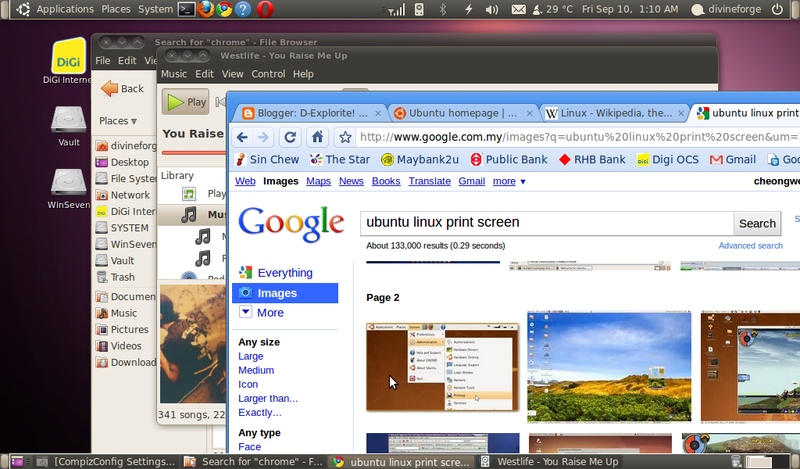 In my opinion, Ubuntu Linux provides a very interesting interface, and pleasant usage experience. 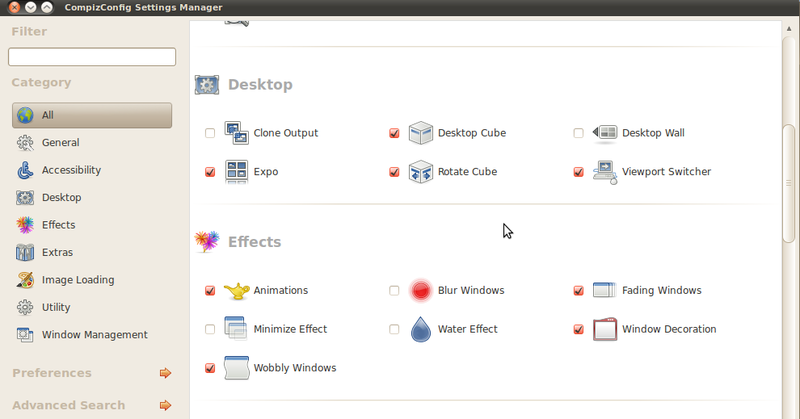 With a wide variety of free apps and cool software, such as "Compiz" - We could enable some of the preferred visual effect via the CompizConfig Setting Manager. There are some visual effect rather similar to those available in proprietary Operating System such as Windows 7 and Mac OS X.